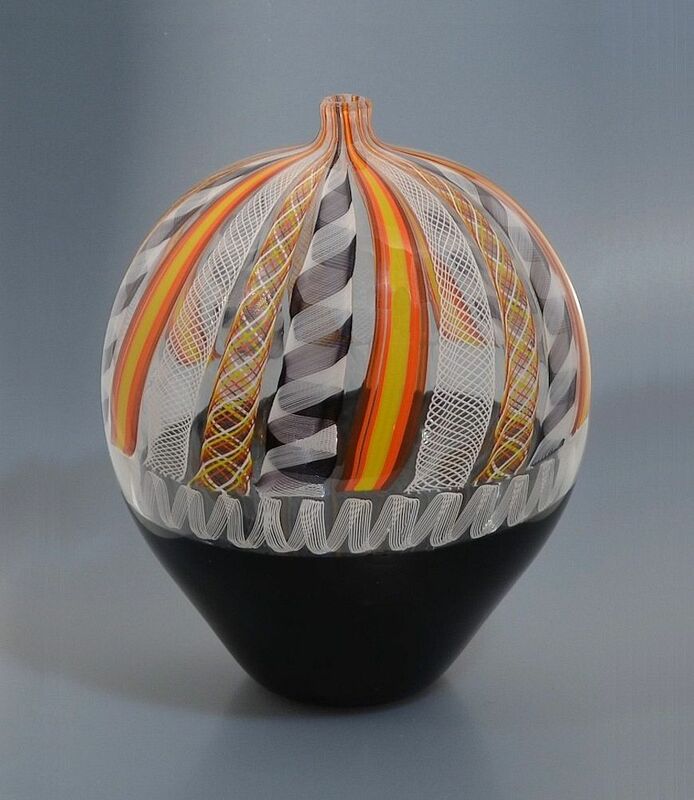 This vase was made by Mike Hunter for Twists Glass in 2007. The vase has two incalmo sections. The bottom black incalmo base leads to a bulbous incalmo top comprising a ring of white torsade canes above which are zanfirico and tessera canes in a combination of black white yellow, orange and red. A showcase of technique! The base is signed "M Hunter Twists 07 Torsard". This is not a production piece and will not be repeated.